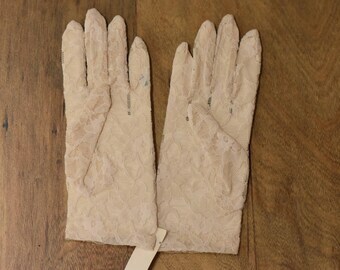 Vintage cream colored lace gloves. Perfect for your wedding, tea party, or prom. 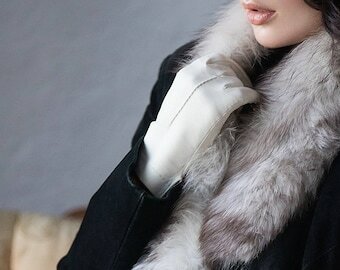 Pair of vintage 1960s cream gloves size small. Gorgeous Beaded Vintage Gloves perfect for a Wedding, Prom or Formal. Lady Elaine Dress Gloves.